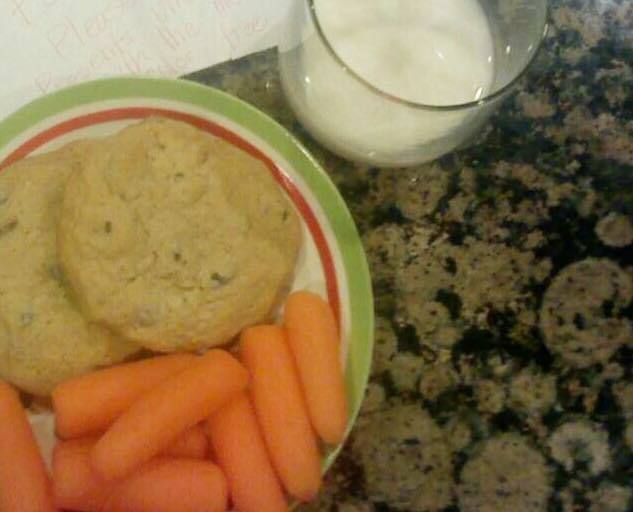 Santa always gets freshly baked cookies for his sweet Christmas Eve treat! His reindeer always get carrots too! There were no products sent for this feature! I was not offered any monetary compensation by posting about these cookies or my experience with baking them. Do you make anything special for the JOLLY GUY in the RED SUIT to enjoy, as he places all the Christmas presents under the tree and fills all those stockings with Christmas goodies? 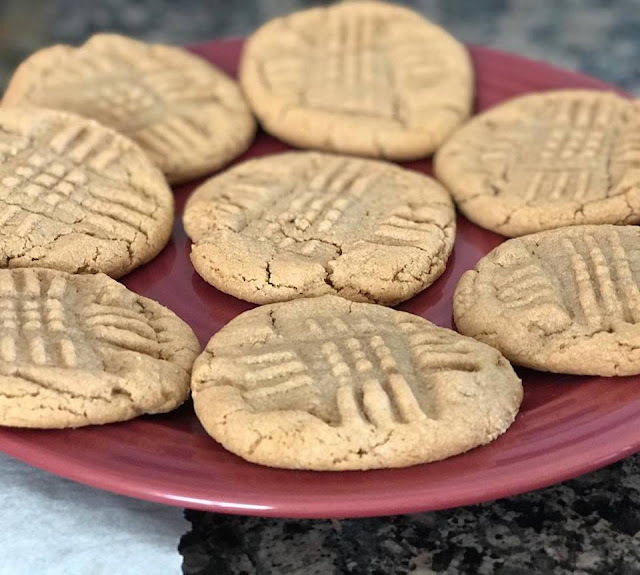 When I was a little girl, my mom made the most delicious peanut butter cookies...and they had the easiest recipe to remember, because there were only three ingredients in the entire process! You ball the dough into 1 inch rounds or bigger if you want, use a fork to press down both ways and then bake. I bake them at 350 degrees until the middle looks firm and the edges are just slightly browning. 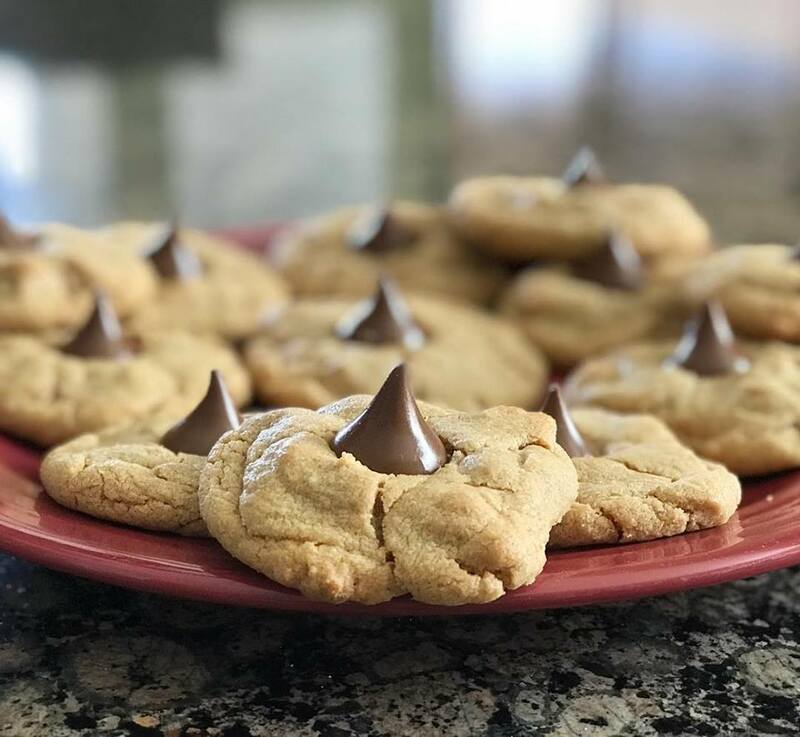 If you want to add chocolate to this recipe, you can add a HERSHEY kiss to the top of the cookie! MY KIDS LOVE THIS...and Santa does too! What's your favorite cookie to bake for Santa on Christmas Eve? 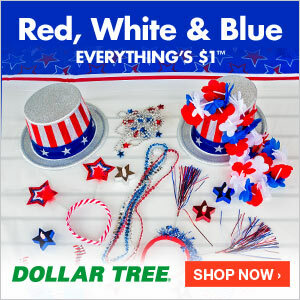 I was not paid to feature this post! I was not compensated in any way by posting about this recipe or the ingredients I used to bake them.